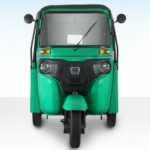 TVS King 4S LPG Auto Rickshaw is India’s first 200cc 3 wheeler, the TVS King rules the road. 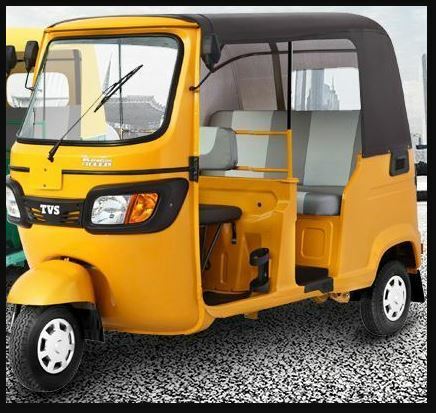 It comes with 4 Stroke, electric start, high power engine with extra comfort & great mileage improves the driver earn more for a better life. Truly a “Car on 3 Wheels”. 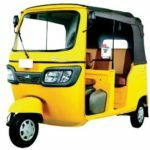 So, if you have no idea about the TVS King 4S LPG Auto Rickshaw Price in India, Technical Specifications, Key Features, Mileage, Images and review, then you are at the right place, cause here you can get everything which you need to know about TVS King 4S LPG Auto Rickshaw. ☘ TVS King rules the road. 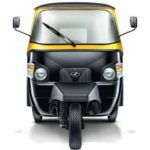 ☘ Helps the driver earn more for a better life. ☘ Truly a “Car on 3 Wheels”. 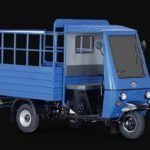 Overall TVS King 4S LPG Auto Rickshaw is most efficiently and affordable in its class with high performance & low maintenance. You will be saving time and money and will get better resale value.